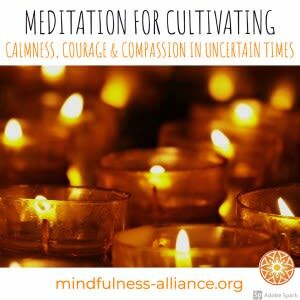 Non-member pass for Meditation for Cultivating Calmness, Courage, and Compassion in Uncertain Times. This facilitator guided mindfulness meditation experience is focused on connecting to calmness, courage and self-compassion in times of difficulty. Once you've purchased your pass, visit the calendar to register for the specific class date you'd like to attend. No refunds on or after the day of the class.